Barrhaven Ontario has experienced major growth over the past 10 year. We have seen a huge increase in the population due to new home construction as the Ottawa suburb matures. Barrhaven is a great location due to it’s close proximity to most amenities and businesses in Ottawa while offering easy access to the major highways via the 416. The addition of the new bridge has also made airport access easy and has opened up the east end to residents. At AirZone, we are proud of the fact that we have been strongly involved with this growth! We have a long list of satisfied customers in the area. Our work includes new furnace and air conditioner installations for new homes as well as retrofit applications. Our head office is located in Nepean, Ontario allowing us easy and fast access to the Barrhaven area. We are able to provide references for work installed in your area (both recent and older). AirZone HVAC Services provides high quality heating and cooling services at an affordable price. Our volume allows us to offer bulk discounts to our clients while still maintaining the family business feel. We back all of our installations with our “Quality you can trust” guarantee to ensure our customers are satisfied! One of our most popular services during the winter months is our emergency heating service. We are open 24 hours a day seven days a week for emergency calls to ensure your heat is restored in your home as quickly as possible. Our close location to the Barrhaven area allows us to respond to service calls extremely quickly! We have a growing fleet of service vehicles standing by to ensure your furnace is up and running fast. We also offer emergency quoting service to allow you to get a second opinion if your furnace has been red tagged (deemed inoperable for safety reasons). Call us at 613-592-5770 and select emergency service from our phone menu. Give us a call or email us using the information provided. We are here to answer all of your questions and provide free no obligation estimates on new equipment purchases! If you prefer, we also offer an online heating and cooling quote request using the button below. We specialize in high efficiency central air conditioners for Barrhaven homes. 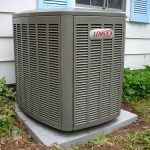 We regularly install, maintain, and repair air conditioner products (all brands). Our high quality cooling products include brands such as Lennox, American Standard, and Amana. We also offer protection packages along with annual maintenance that help you save! We have carefully chosen our furnace manufacturers to provide our clients with a complete line of furnaces that offer efficiency, performance, and dependability all at a great price. Our heating products include furnaces from Amana, American Standard, and Lennox. 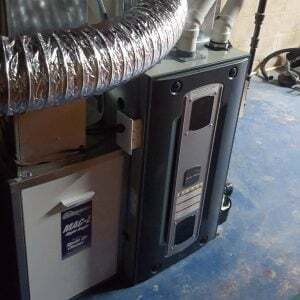 We offer new furnace installations along with repairs and maintenance. We are committed to providing our customers with the latest heating and cooling products. Smart thermostats allow remote temperature control along with many other benefits resulting in a more efficient system. Our main thermostat products come from Ecobee, Nest, Lennox, and Honeywell. We offer smart thermostat onsite training, troubleshooting, and installation services. Residential home fireplaces provide warmth and comfort to a room. 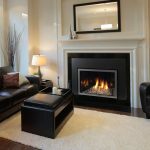 Gas fireplace inserts are very popular in the greater Barrhaven area. We offer fireplace products from Monessen and Majestic that are easy to operate and look beautiful. We also offer annual fireplace maintenance services and repair for all of your gas fireplace needs including cleaning and safety checks! Save money with AirZone’s innovative approach to hot water in your home. 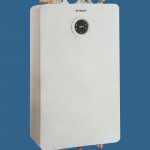 We offer financing programs along with our drop hot water tanks and tankless products that will save you money over renting. 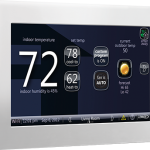 Our tankless line of hot water heaters include many smart features including remote temperature control and alerts! Please note that these are just a few of our most popular heating and cooling services. For a complete list of what we offer, please use the menu at the top of each page.